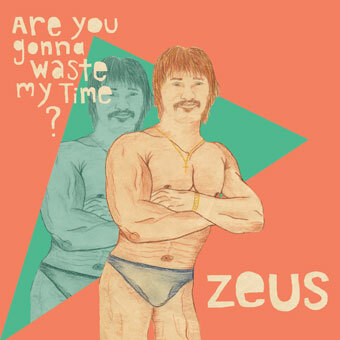 Zeus - Are You Gonna' Waste My Time? Zeus returns with the unapologetically titled Classic Zeus, resuming its affair with timeless melody, vintage ambience, and instant future classicism. 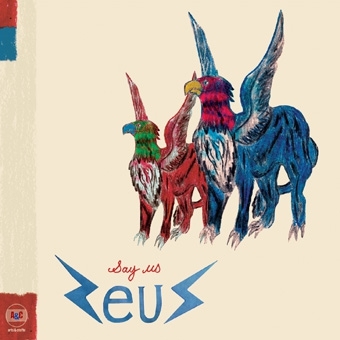 Classic Zeus is the band's most cohesive and heartfelt record to date: a truly collective effort of singular vision: 11 songs of introspective pop and spirited rock and roll, buoyed by Zeus' studio mastery reinvented. 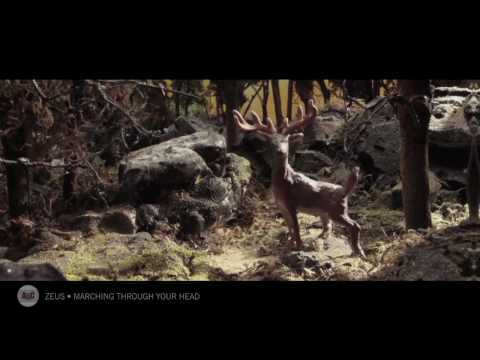 This is the story of a band that has walked through fire and come out the other side naked and raw. Take your past and throw it on the fire. 1. Where Is My Love? 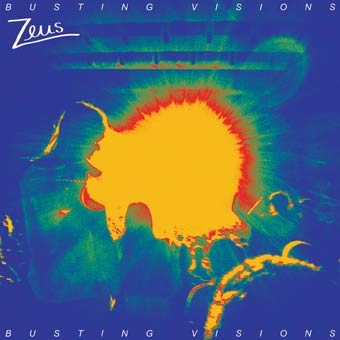 One year after the release of Zeus' celebated sophomore album, Busting Visions is receiving a deluxe edition release that includes seven playful covers interpreted in their own singular sound. Recorded between the band's Ill Eagle Studio and the ranch studio of labelmate Feist, Busting Visions is a sweaty romp of a record, oozing cool, with fuzzed-out riffs, razor-sharp hooks and harmonies galore. 1. Are You Gonna Waste My Time? Carefully culled from their favourite songs and influences, Cover Me is an exclusive EP of covers interpreted in Zeus' own singular sound. 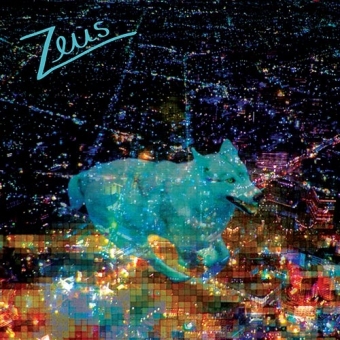 The CD will only be made available via GalleryAC or to Zeus fans on tour. Recorded between the band's Ill Eagle Studio and the ranch studio of labelmate Feist, Busting Visions is a sweaty romp of a record, oozing cool, with fuzzed-out riffs, razor-sharp hooks and harmonies galore. 1. Are You Gonna' Waste My Time? Are You Gonna' Waste My Time? Buy Are You Gonna' Waste My Time? Stream Are You Gonna' Waste My Time? Permanent Scar / The Darkness marks the band's second release in an ongoing series of Double A-side 7-inches - out on April 12 on Arts & Crafts. 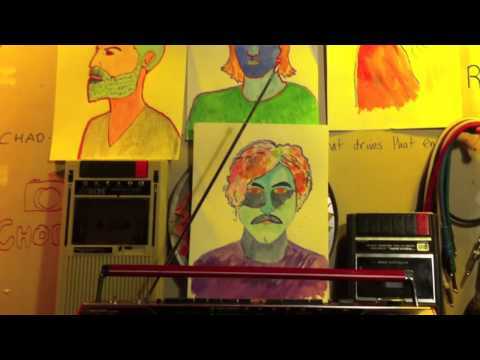 "Permanent Scar" is another harmony-laden rock and roll gem fronted by Carlin Nicholson, which was recorded at the band's own Ill Eagle Studio and mixed by Robbie Lackritz (Feist). "The Darkness" is aunique Mike O'Brien effort, a thoughtful and moody track that marks a departure from much of Zeus' material. The song was recorded by Lackritz at Catherine North. Prolific rock gods Zeus will continue to tap their ever-running fountain of musical creativity this fall with the release of the first in an open-ended run of 7-inch double A-side singes entitled Hot Under The Collar / Aeroplane December 7 through Arts & Crafts. 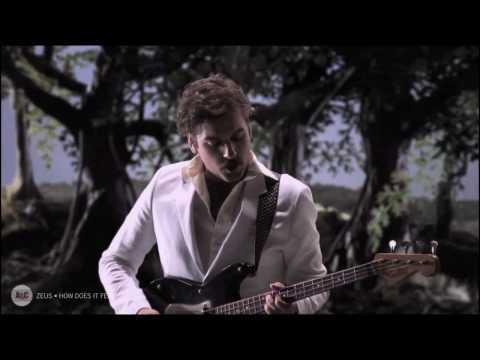 "Aeroplane" was recorded in late 2009 at the band's own Ill Eagle Studio and mixed by Robbie Lackritz (Feist) during a four-song recording session for the band's noteworthy 2010 debut Say Us. "Hot Under The Collar" marks the first Zeus recording taken to another space. In order to achieve just that, more space, the bed was recorded over three takes in the large dwelling room of Toronto buddy band The Golden Dogs and then also mixed by Lackritz. 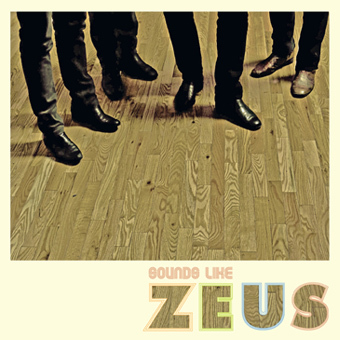 Formed by Mike O'Brien and Carlin Nicholson along with Neil Quin and Rob Drake, Zeus came together much in the same way as The Band, performing primarily as a backing band - in this case, for acclaimed Toronto songwriter Jason Collett both on the road and in studio. Similarly, Zeus features three vocalists/songwriters who swap between guitar, bass and organ, with Drake holding down the rhythm on drums. 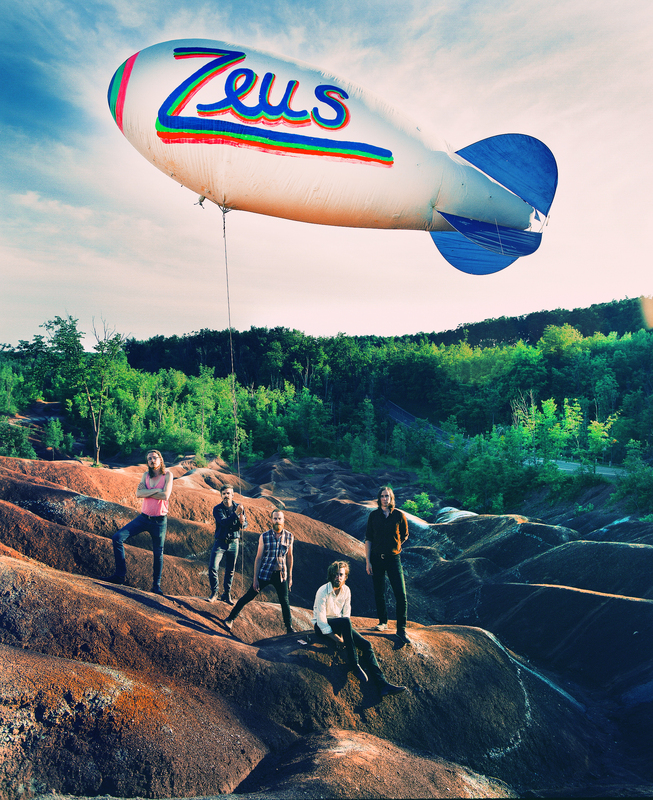 Zeus released their debut EP, Sounds Like Zeus, in June, to tremendous acclaim from the Canadian media. 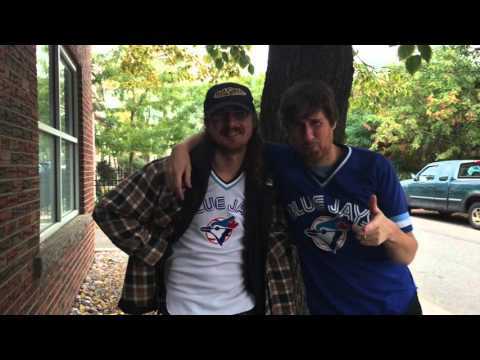 Say Us was recorded and produced by O'Brien and Nicholson in their Toronto studio and mixed by Robbie Lackritz (Feist). 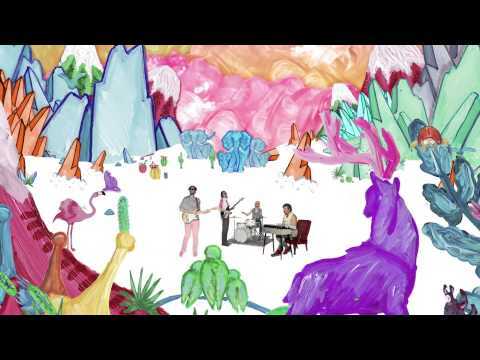 The album shows a band with an incredible ability to write smart pop hooks with jangling electric guitars, three-part harmonies; classic rock n' roll. 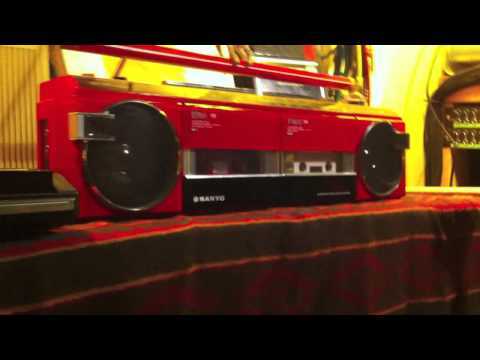 Say Us expands upon the ideas put forth with Sounds Like Zeus, though showing even greater range and diversity. Of the new tracks, You Gotta Teller has been a live favourite these past months, while River By The Garden brings elements of gospel to the mix. Say Us is an album for the ages. The Album will be available exclusively on 180 gram vinyl, starting February 9, 2010, two full weeks prior to the album's official release on CD on February 23, 2010. Zeus was born from the musical friendship of Mike O'Brien and Carlin Nicholson. 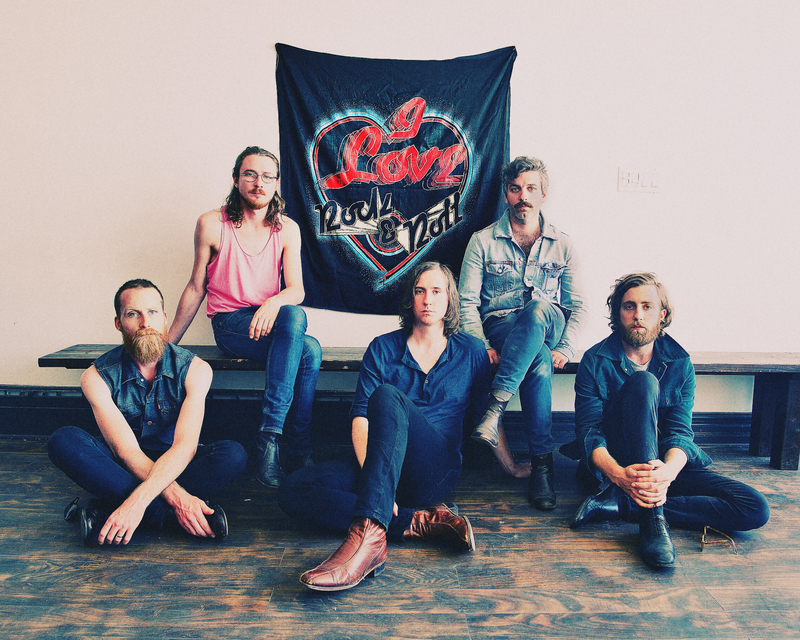 The two Toronto-based musicians have been living on the road for the past few years as the backing band for singer/songwriter and Broken Social Scene member Jason Collett. With a lineup rounded out by longtime friends and musical compatriots Rob Drake and Neil Quin, Zeus draws upon classic influences to craft timeless songs, complete with fuzzed out guitars and shimmering harmonies. 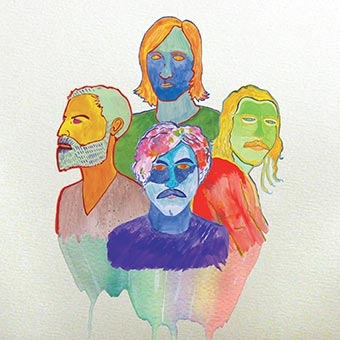 The band's debut EP demonstrates an innate sense of melody and includes a raucous cover of Genesis' "That's All" which, as the title of the EP would aptly suggest, sounds like Zeus. Arts & Crafts' leading modern/classic rock outfit Zeus returns with Classic Zeus, resuming its eternal affair with timeless melody, vintage ambience, and instant future classicism. 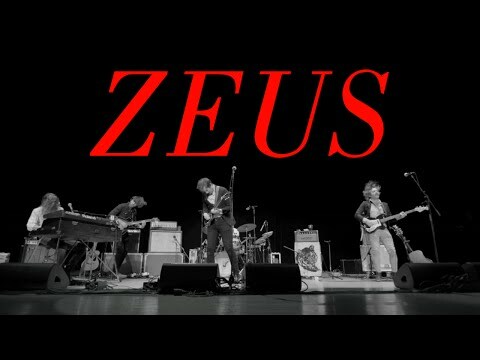 And yet Classic Zeus, the unapologetically- titled third album from the Toronto band, distinguishes immediately as Zeus' most cohesive and heartfelt work to date: a collection of eleven songs of deeply introspective pop and spirited rock and roll, buoyed by studio mastery reinvented the resilience of a band at the pass, only bent and not broken. The stage is set with the chiming first chords of "Where Is My Love?" - direct transportation to the rainbow array of Zeus' ever-expanding sonic palette. Lush, granular synths and easy-lilting signature shifts wrap Classic Zeus in a familiar cloak, sweet tunefulness now belied by melancholy at its core. As Neil Quin sings over the prevailing brightness: And the days are getting shorter / As the years comes out of order / She says where is my love? 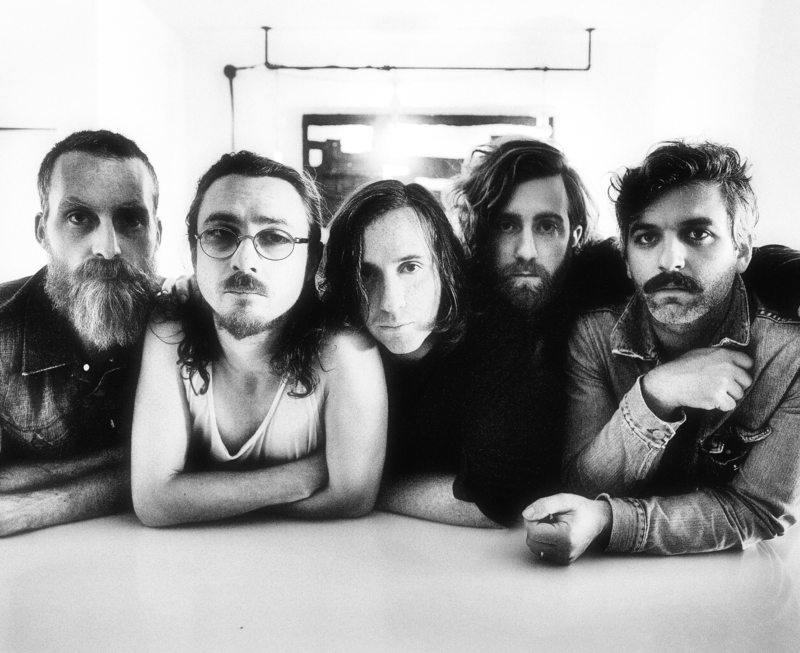 Instead of dissolution, the band embraced exhaustion, returning to its East Toronto studio to begin on the follow- up to Busting Visions, which earned accolades from New York Times, Rolling Stone, SPIN, KCRW, and NPR. Whereas divergent paths had begun to pull Zeus apart both musically and personally, mutual respect and hunger for exploration brought them back together. Months of musical and technical experimentation, redefining the limitations of their Ill Eagle Studios, yielded new songs and sounds that reflect the broadening perspective of "classic" Zeus, with stronger unity and more definite form than ever before. 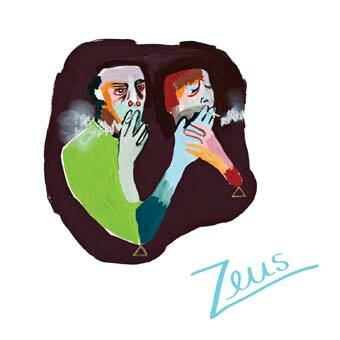 The resulting album, Classic Zeus, is a peerless rejuvenation: a marvelous intersection of tension and harmony; newfangled in its dazzling personality, but unabashedly anchored to Zeus' ear for that essential pop aura. First single "Miss My Friends" arrives on an august breeze, with tropical staccato and wistful call-and-response vocals touching on the recent band climate: It was the summer of love / But now it's turned to fall. The song's perfect admixture of trilling synths and metric bass injects warm-season-in-the-city with its first natural anthem, an impeccable package of melody and sentiment. The upbeat "27 Is The New 17" illustrates the maturation of Zeus, albeit disguised as a most concise, accessible pop single. "Bonnieview" harkens back to "How Does It Feel?" 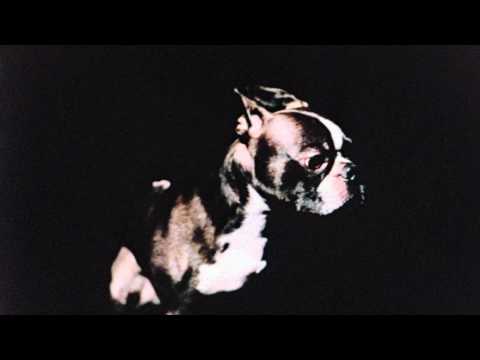 - off 2010's Polaris Music Prize-nominated debut, Say Us, which won XM Verge's award for Album Of The Year - with electricity conjoining layers of triumphant piano, animated bass, and searing melody - Drake's carefree drumming sweeping away changes in pace with ease. The epic-in-miniature "You Could Have A Lover" recalls the former fuzz early Zeus, a bluesy vamp that ascends to a plateau of hopeful resolve in the albums penultimate moment. Classic Zeus recounts the considerable distance the band has traveled across its first three uniquely collaborative albums. This is Zeus' most dynamic and focused record to date, a truly collective effort of singular vision, despite wearing the strains of diversity on its sleeve. It is the sound of a band carving new sonic space, and rediscovering itself therein. Shedding the tags that have chased the band since its inception, Classic Zeus finds the band comfortable in its own skin, determining its own retroactive lineage. 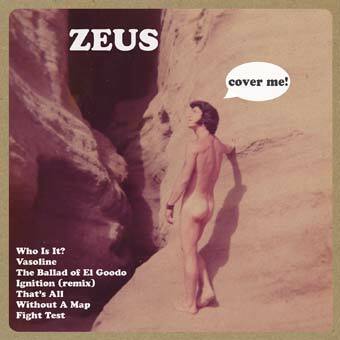 Classic Zeus is the story of a band that has walked through fire and come out the other side naked and raw. As the band plays out with promise and catharsis in the reprieve of closing track "Throw It On The Fire", self-reflection on its trials and newfound triumphs: "Take your past and throw it on the fire."